We are pleased to announce Chelsea Miller as the 2018 Altrusa International of Fort Worth Scholarship recipient. Ms. Miller is currently seeking a Master of Social Work at UTA Fort Worth. 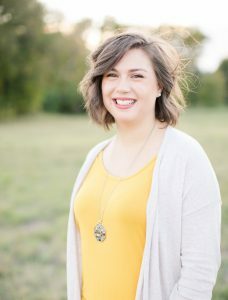 In addition to successfully maintaining a 4.0 GPA, Ms. Miller dedicates her time and energy to working full-time as the Mobile Coordinator for the Fort Worth Pregnancy Center, where she connects the services and resources available from the Center with communities and women in need. Chelsea also serves as a group leader for middle and high school girls through her church. Additionally, Ms. Miller volunteers and participates in a variety of community service opportunities. Altrusa International of Fort Worth is committed to making communities better through leadership, partnership, and service. Ms. Miller has demonstrated these same values in her professional and personal life. Chelsea earned her B.A. in Psychology from Shorter University in 2015, when she them moved to Fort Worth from South Carolina. While completing her undergraduate degree, she was heavily involved in the Zeta Tau Alpha Fraternity where she spearheaded fundraising efforts in support of women’s health. After graduating in Fall 2019, Ms. Miller get more involved in social policy change that helps reform the foster care system and increases the reunification of families that have faced regulatory issues regarding custody of children. With the rise of school shootings, Chelsea would also like to get involved in school social work and help develop programs to teach students coping skills, educate them on the power of kindness and how their behaviors can impact these events. UTA Fort Worth congratulates Chelsea Miller and appreciates the generosity of Altrusa International of Fort Worth for their continued commitment to assisting our graduate students in achieving their goals.